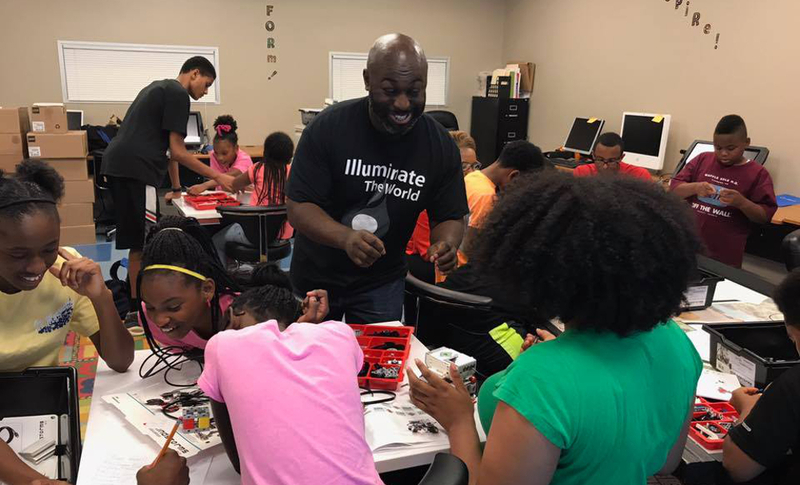 Beyond the day-to-day life of being a robotics engineer, it has been my mission to mentor young people in underrepresented communities who are interested in science, technology, engineering & mathematics. It has been a blessing to be gifted to work in the unique field of robotics & artificial intelligence and have the ability to show them how it will impact their future. The focused mentoring I provide helps them develop a winning strategy to build a successful life and foster passion for a STEM career. Being one of the BEMM 100 Men of Distinction means that everything I stand on and all I look to accomplishing is not in vain. 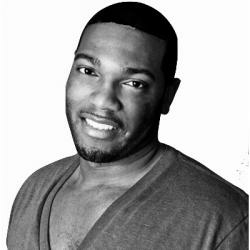 It offers hope that the negative connotation that’s sometimes pinned to the backs of black men throughout our community has the potential to change for the better. This honor tells me that someone not only hears and sees my good deeds, but that each and every one of those good deeds are needed. Just as with many young men, I wasn’t provided with a silver spoon growing up. Things had to be worked for, and sometimes that payment was sufficient enough to provide me with hope. One of my greatest struggles was losing my best friend while in college. I almost dropped out of college because I wasn’t able to cope with the loss. I never envisioned life without him to cheer me on. However, after his transitioning, I met my mentor who led me down a new path and on to my dreams. I made a vow that I would make sure that I help straighten the path of as many young people as possible. Every young man or woman I encounter, I put a little of my best friend’s smile, generosity, kind spirit, loyalty, and love on the imprint left behind. That way, each of my encounters starts out two times better. Relationships are built on trust. I believe that with trust, you also receive loyalty, communication, constructive criticism, and motivation. Trust gives comfort that this person wants the best thing for me, therefore they will always seek out the best in whatever I do. At the moment, I have my hand in several projects. One that is very dear to me is “BlerdOut.” This movement is going to be one that can be passed down from generation to generation. The primary focus is acceptance of intelligence while blurring out the stigma that it’s not cool to be smart. For so long, smart has been frowned upon like an ex who still attends family functions. Additionally, I am continuing to build on the success of my nonprofit organization, Illuminate STEM, writing a book, and finalizing two game-changing products I developed. And, lastly being the world’s greatest father to my daughter, which is a daily project. The best advice I received was from a neighbor growing up. He informed me that I could be anything and go anywhere I wanted with the exception of the streets. He pointed out my unique qualities that made me who I am and literally forced me to be more than average. What is the best advice you have for other men who want to make a difference? My advice would be to just do it! There’ no rubric or set way to make a difference, everyone has their very own unique mark that will be imprinted in their very own way. How do you prepare for important business meetings and/or events? Before preparing physically, I prepare myself mentally. The meeting/event is organized completely in my head. Afterward, I put those thoughts on paper and gather the material necessary. During this time, I test out Power Points, other technology that will be used, and review the information that will be shared. On vacation, I UNPACK! By unpack, I mean I leave everything that’s bothering me, deadlines and anything else that prohibits enjoyment, behind. I escape into the city and enjoy the monuments, learn about the history, visit the museums and relax. Santorini, Greece. It’s a beautiful place with amazing adventure and scenery of historical landmarks, beaches, volcanos, and more. My only advice is to live! Don’t give boundaries, fear, or society an invitation to decide what greatness is for you. Soar high and whenever you think about quitting, go that much further. Don’t spend life waiting for an invitation to the table; build a new table.